In 1317 AD, a travelling Sufi posed seventeen questions to the masters in Tabriz, the city where Rumi's mentor Shams was supposed to have wandered around almost a century earlier. The questions were answered by a leading Sufi poet of the times, Mahmood Shabistri, in the 9000-line long poem which became a classic and a definitive text on Sufi doctrines: Gulshan-i-Raz, or The Garden of Mystery. Allama Iqbal believed that this work went a long way into helping the Muslim world revive from the destruction it had faced at the hands of Mongol invaders not long before the publication. He compared the situation of the Muslim world in his own times to be not very different: European colonialism had once again played havoc. So, 610 years after Shabistri, Iqbal published 'Gulshan-i-Raz Jadeed', or The New Garden of Mysteries (or, as some may prefer to call it today: Garden of Mysteries Reloaded). 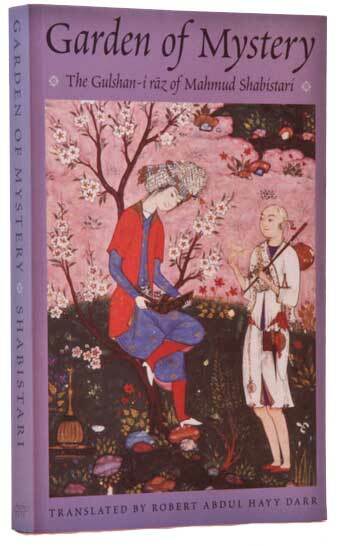 It formed a part of Iqbal's fourth book of poetry, Zuboor-i-Ajam (1927), or Persian Psalms. Iqbal's version clusters some of the original questions together while omitting some. The result is a compact set of nine questions with succinct answers, usually less than three pages each. I understand that Iqbal intended these to serve as a summary of his thought. Perhaps he also gave these as a key to unlock some of the "secrets and mysteries" which he claimed to be hidden in his work. In any case what he stated openly in that book was that these nine questions and his answers were meant to be the guiding light for wisdom in modern times. There is something very interesting about these questions which I have found in the course of my investigations. I have found that this set of nine becomes interestingly compatible with some other sets of nine: such as the nine books of Iqbal's poetry, the nine symphonies of Beethoven and so on. Iqbal wrote nine books of poetry and died while writing the last of those. In my online course Introduction to Iqbal Studies, I ask the participants to see if each of these books seems relevant for answering the corresponding question. The feedback given by the participants is mostly in the affirmative. I do not mean to mystify the reader. In my opinion this has got less to do with supernatural and more to do with the possibility that in rearranging his questions, Iqbal could have arrived upon some natural order of the cognitive process of the human mind. In other words, he may have succeeded in representing some kind of a genetic code of the human thinking process through his nine questions. It is often presumed that Iqbal did not present his philosophy in a systematic manner. I also used to believe it once but then I realized that this could be true only up to the extent that the "system" of Iqbal's thought was presented in a manner not similar to many Western thinkers. 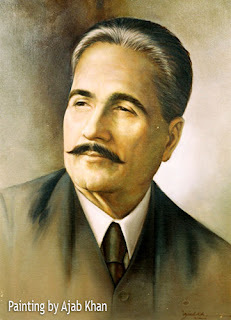 Othewrise, there have always been those who believed that Iqbal had a well-developed system of thought - his constant companion of the last days Syed Nazeer Niazi and the first director of Iqbal Academy Pakistan Dr. Muhammad Rafiuddin, to name just two. I am now of the opinion that the nine questions and answers comprising 'The New Garden of Mystery' (گلشنِ راز جدید) in Persian Psalms (زبورِ عجم) can be treated as a succint description of Iqbal's philosophy. Those questions are being presented here (based on a translation by B. A. Dar) along with a brief summary of Iqbal's answers in my words. 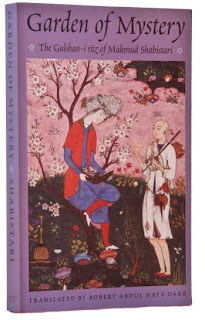 The original Persian text of 'The New Garden of Mystery' is also available online while the link to a complete translation of each answer in English is being provided with the summaries (courtesy: Iqbal Academy Pakistan). Q. First of all I am intrigued about my thought – what is it which we call thinking? What kind of thought is needed on the path, why is it sometimes a virtue and sometimes a sin? Answer. According to Iqbal, our thinking has two dimensions: spiritual and material. Neglecting one at the cost of the other is harmful but neglecting both is sometimes a necessary phase in self-development. Q. What is this ocean whose shore is knowledge? What is that pearl which is found in its depth? Q. What is the union of the contingent and the necessary? What are near and far, more and less? Q. How did the temporal and eternal separate so that one became the world, and the other God? If the knower and the known are one pure essence, what are the aspirations of this handful of earth? Q. What am I? Tell me what ‘I’ means. What is the meaning of ‘travel into yourself’? Q. What is that part which is greater than its whole? What is the way to find that part? Q. Of what sort is this traveler who is the wayfarer? Of whom shall I say that this person has attained completion? Q. What point does the claim, ‘I am the Creative Truth’ imply? Do you think that this mystery was mere nonsense? Q. Who was it that at last became familiar with the secret of Oneness? Who is the wise one that has true awareness? Further reading: see my book The Republic of Rumi: A Novel of Reality (2007) for a demonstration of how the "Nine Questions" contribute to the internal coherence in the poetical works of Iqbal. An updated online version is also available for free. Thank you for this most interesting post. Iqbal seems (to me) to be unique. He is not merely a poet, nor merely a political thinker, nor merely a philosopher. He seems (to me) to be none of those, and all of those, but yet so much more than any of them. Perhaps he was destined for a unique, purposeful mission which included, as part of its consequences, having an ill understood message. Sometimes not being understood (e.g., by some, or in some eras) can be like a guardian of a threshold. As it's quite difficult to wrap some things in words, his philosophy can easily elude being straitjacketed. His philosophy simply may not fit most known intellectual molds. Indeed, I cannot explain how I sense him except to say that his philosophy is not, for me, simply new information (to be collected and shelved like data), but rather a wholly new healing change of context. I didn't have the time but made the time to go look for more at the RR blogsites after seeing some of Robert's earlier comments and quotes. I'm so glad I came here for a bit and now see this post with comments. Sometimes not being understood (e.g., by some, or in some eras) can be like a guardian of a threshold. The entire post (including Rehan's intriquing poem) requires much more of me than I can accomplish right now yet gives me a little key to hide in my soul for just the right time in the near future, I am supposing.